The team of GCNN is a small but very active multidisciplinary group, focusing its research on carbon nanostructures. This covers the synthesis, chemistry and processing of carbon nanostructures, the development of advanced nanocomposites and its processing into macroscopically assembled materials with tailored functionalities of interest to specific applications, such as smart materials, energy storage and generation, catalysis, (bio-) sensors and biomaterials. 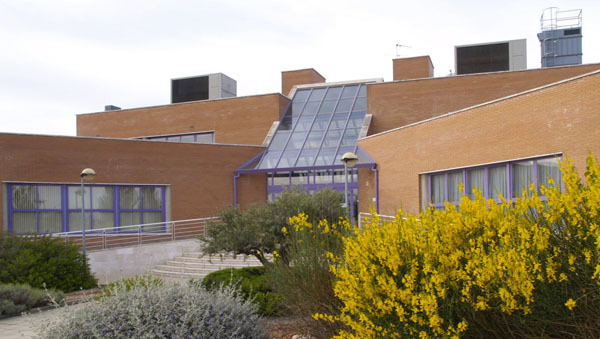 The fellow will enjoy the modern research infrastructure of GCNN and the Instituto de Carboquímica (ICB-CSIC) including fully equipped labs with latest state of the art equipment and characterization facilities. He also will have at hand the general infrastructure provided by the 120 CSIC research centers as well as the local research services of the University of Zaragoza. Emin Istif received his BSc degree from Eskisehir Osmangazi University, Turkey and in this period he attended to Universita Della Calabria, Italy as an Erasmus Exchange Student. He received MSc degree from Yıldız Technical University, Physical Chemistry Department, Istanbul, Turkey. His research mainly focus on conducting polymers, oligothiophenes and photochemistry. His hobbies, playing guitar, trekking, traveling and cinema. He plays Purhayal Band as bass guitarist and he performed in two short movies. Lorenzo Vallan received his Bachelor’s and Master’s degree in chemistry at the University of Trieste. His work at the Institute is focused on the synthesis of graphene-based nanohybrid materials and on their processing in films and coatings. He likes science stuff and many things, among which playing sports, travelling, carbon nanomaterials, the piano’s sound, documentaries with whales, festivals of short movies, The Master and Margarita, the floor tiles in Barcelona and cooking. Ana Santidrián studied her Degree in Chemistry at University of Burgos (Spain) and at University of Barcelona (Spain). In 2012, she got her M. Sc. Degree in Advanced Chemistry, specializing in New Materials at University of Burgos in collaboration with University of Mons (Belgium) where she carried out her Master thesis in the Laboratory of Pharmaceutical Analysis. Afterwards, she started working as researcher in the Material Science Institute of Madrid (ICMM-CSIC). The following years she worked in the J Heyrovsky Institute of Physical Chemistry in Prague (Academy of Science of Czech Republic) dealing with Carbon Nanotubes. Her main research interests are focussed on studying, sorting, characterizing and processing nanocarbon materials. She is a bikelover whose hobbies are related to any kind of art expression (music and dance mainly) and nature with sports. Ana Benito is a Senior Research Scientist at the CSIC/Investigador Científico del CSIC. PhD. Univ. Zaragoza. Organic Chemistry. Oct. 1993. Her esearch covers Carbon Nanotubes, Graphene, Composites nanotubes-polymer (specially conducting polymers), Chemical functionalization of Nanotubes, Processing: dispersions, films, fibres. Her hobbies include Flugelhorn, Jazz, Blues, Banda de Miralbueno, cinema, Zumba, Cooking, Hiking, and travelling. Alejandro Ansón is a Research Scientist at the CSIC/Científico titular del CSIC. PhD. University of Zaragoza, Physical Chemistry, June 2005. His current research includes fundamentals and applications of carbon nanomaterials, mainly carbon nanotubes, and titanium dioxide. Most specifically, he is interested in the study of physicochemical properties that are relevant for applications in photocatalysis, photovoltaics, energy storage, sensors, and polymer composites. He likes music, chess, pelota, playing the saxophone, and reading essays, biographies and classical novels. Edgar Muñoz. Research Scientist (Científico Titular) at CSIC.